Black people are in constant fear of the police. The people that are supposed to protect us, but in most cases, are just as frightful and dangerous as the gangs that plague most black neighborhoods affected by poverty. In addition to that fear, black people navigating a predominantly white society must work extra hard not to be labeled as a “thug” by white peers. Even then, they are still likely to be subjected to racist remarks and harassment. These challenges are at the core of “The Hate U Give,” a film that is one of the best examinations of the Black experience in recent memory. 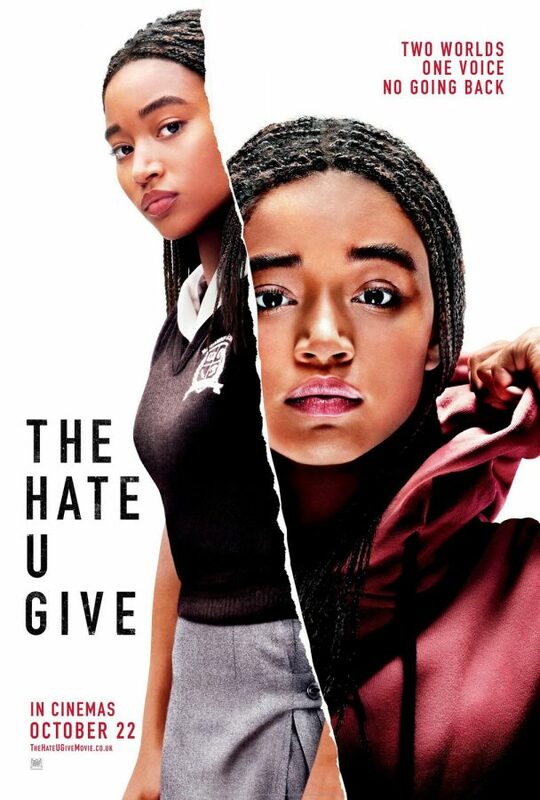 Based on the critically acclaimed Young Adult novel by Agie Thomas, director George Tillman Jr (“Barbershop”) and late screenwriter Audrey Wells’ (“Guinevere”), “The Hate U Give” centers on Starr Carter (Amandla Stenberg), a young black woman who lives a double life: in the predominately black district of Garden Heights where she embraces her blackness with her family and in Williamson, an all-white school where she adopts a different persona in order to avoid discrimination from her rich white peers. When Starr attends a local house party, she reunites with her long childhood friend, Khalil (Algee Smith). However, their reunion is cut short. While driving her home after the party, Khalil is pulled over by a racist cop for inspection and is gunned down after reaching for his comb. Starr, now coping with PTSD and the loss of her friend, must decide whether to use her voice to speak out as a witness of the police shooting or say nothing to avoid judgmental comments at her white-centric school and death threats from the neighborhood gang. The title itself comes from the acronym created by Tupac Shakur “T-H-U-G-L-I-F-E” (The Hate U Give Little Infants F***k’s Everyone). Shakur explained that it meant, “what you feed us as seeds, grows and then blows up in your face.” It is a statement that the racial injustices and social structures that affect and divide people will transform into hate and will be passed onto the next generation of kids, continuing the cycle of people from different races against one another. Starr Carter is forced to grow up when she realizes how broken the system is and must decide how is she going to contribute in fixing it. This dilemma is essential when growing up as a black person in a society that is more or less against you. Exploring this complex topic from different angles can often lead to an uneven narrative but thanks to a great cast the film pulls it off for the most part. In particular, Amandla Stenberg’s excellent performance is a major component of the film’s success. She transitions from a carefree woman opening the film with a light-hearted narration about her life to someone consumed with pain, grief, frustration and confusion. As the film progresses, the narration is reduced and the two worlds she’s been living in falls apart. Stenberg brilliantly captures the emotions that come with witnessing a traumatic display of discrimination. With how unfortunately common and publicized police shootings have become since the start of Donald Trump’s presidency, it helps that Starr’s struggle feels immediately relatable. Even before the tragic shooting of Khalil, many of us can put ourselves in Starr’s shoes when she is in school. Code-switching, the act of behaving and communicating in a similar or exact manner as everyone around you in attempt to adapt, is almost a necessity for black people navigating white spaces. As Starr points out in her early narration, “Star 2.0 doesn’t use slang. If a rapper would say it, she doesn’t say it, even if her white friends do. Slang makes them cool. Slang makes her ‘hood.’” This point follows up with a scene with her white friend, Hailey (Sabrina Carpenter) speaking “black” to Starr about Chris (KJ Apa), the main character’s white boyfriend. By the time she is back in her neighborhood attending a party with her friends of color, Starr makes it clear that she is not fully comfortable in either identity, as she must re-adjust her vocabulary and mannerisms based on the people around her. The other highlight of the movie is Russel Hornsby’s performance as Starr’s father, Maverick Carter. Maverick Carter represents the cycle of poverty that affects most black communities: once belonging to the neighborhood gang “King Lords” due to a lack of opportunity for employment, Maverick sees it as a responsibility as a black father to both teach his children about the racism that will affect their lives, and steer them away from committing the same mistakes he and his father made. There is a great scene in the film where Maverick gives Starr “the talk” by breaking down the effects of crime and poverty on black people and the essential importance in fighting racial injustices. 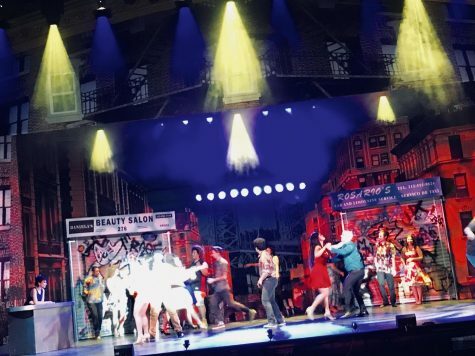 It’s a scene that will feel very familiar to many black viewers and is also good for non-black viewers interested in understanding the hardships black people experience in America. “The Hate U Give” does an exceptional job at juggling many themes into one cohesive film. However, there are a few instances of missed opportunities for exploration. For example, there is a scene in the film where Chris decides to meet Starr’s parents after Starr explains to him the importance of her blackness. Clearly this is an attempt to address the awkwardness of interracial relationships, and while the scene where they address it is funny and has good dialogue, it is resolved too quickly in a manner that feels unfinished. There is also the missed opportunity with Starr’s uncle, Carlos (Common). There is a great chance to explore the themes talked about in the film from the perspective of a black police officer but the only thing we receive from that possibility is an exchange between Starr and Carlos about the hostility shown by police when pulling over black people on the road. Additional scenes with Carlos and his life at the precinct would have added even more layer to the film. Regardless, “The Hate U Give” is still a powerful film that illustrates the complexity of the black experience. Its message may feel repetitive to those who have heard it in other movies of its ilk. Also, some of the dialogue is a bit on-the-nose (there is a point where Chris says “I don’t see color”) but great performances, great dialogue and its honesty in approaching the subject matter makes this a memorable film that everyone should see.